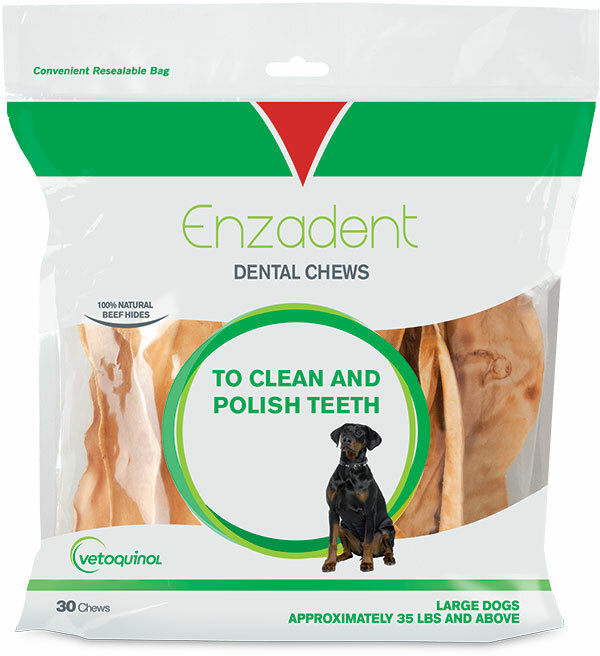 Vet Solutions Enzadent Oral Care Chews for Dogs combine enzymes found naturally in your pet's saliva with the natural abrading action of beefhide to help remove food debris before it become a problem. After your pet finishes a meal, tiny food particles combine with bacteria to form plaque. Plaque, if not removed, eventually hardens into calculus or tartar, and can ultimately lead to periodontal disease. 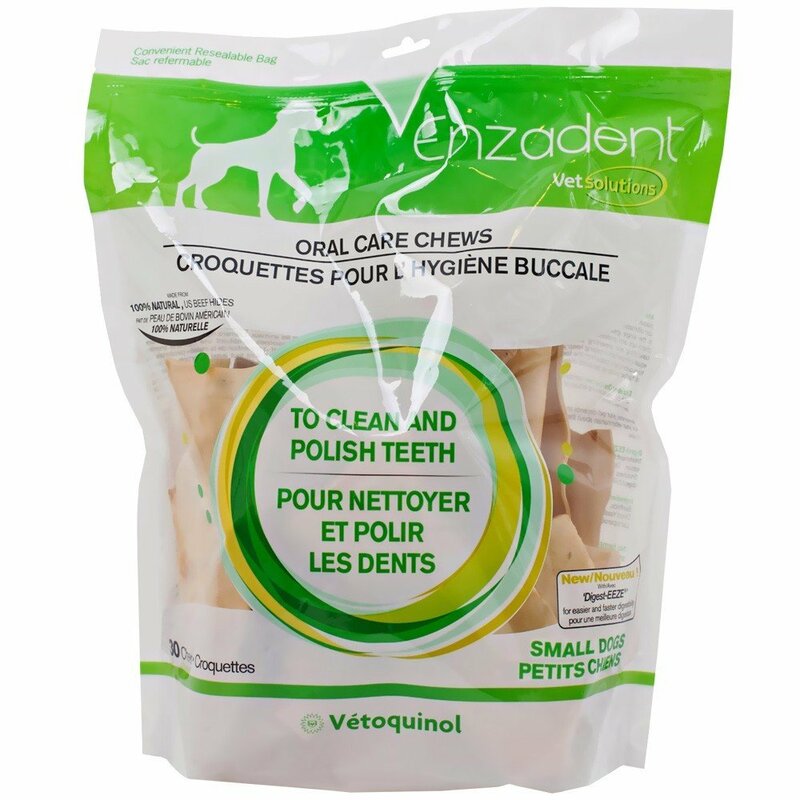 If left untreated, periodontal disease is the single greatest cause of health problems in pets. Regular veterinary check-ups and professional dental cleanings are an important first defense in controlling and preventing periodontal disease. 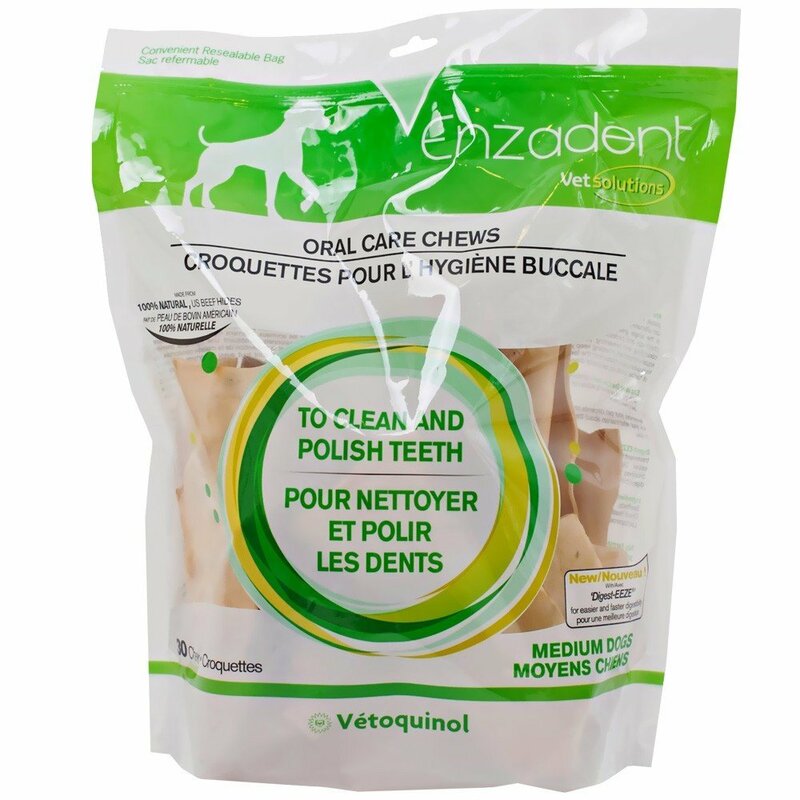 Routine home dental care is equally important in helping keep your pet and its teeth healthy. Simply brushing food debris and plaque from the teeth and gumline can greatly reduce the chance of tartar build-up, periodontal disease, and bad breath. NOTE: This product is being updated by the manufacturer. 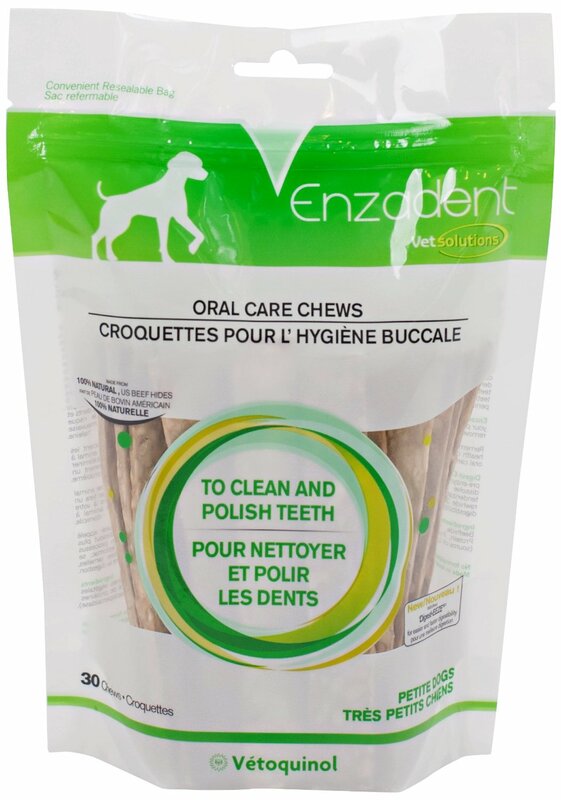 It is now called Enzadent Dental Chews and the ingredients have changed (currently for large size only): Beef rawhide, dextrose, poultry digest, maltodextrin, hydrolyzed soy protein, potassium sorbate, primary dry yeast, purified water, glycerine, propylene glycol, carbomethylcellulose, sodium benzoate, sodium lauryl sarcosinate, milk (source of Lactoferrin and Lactoperoxidase), egg albumin (source of Lysozyme).